We are a proud member of the IOGKF-USA. The IOGKF-USA is a part of the International Okinawan Goju-Ryu Karate-Do Federation, the foremost organization in promoting real Okinawan Goju Ryu Karate-Do. 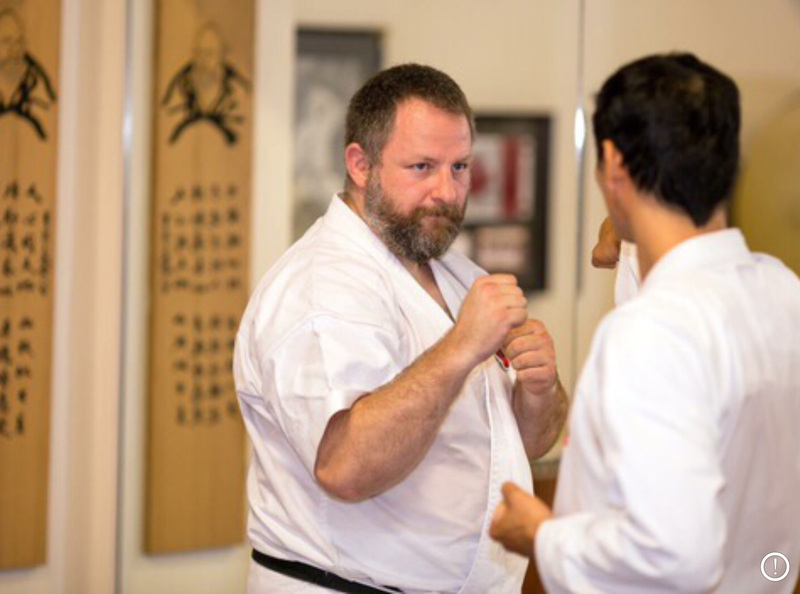 Okinawa Goju Ryu has many forms of Kumite (Loosely translated as sparring, but this can be misleading). 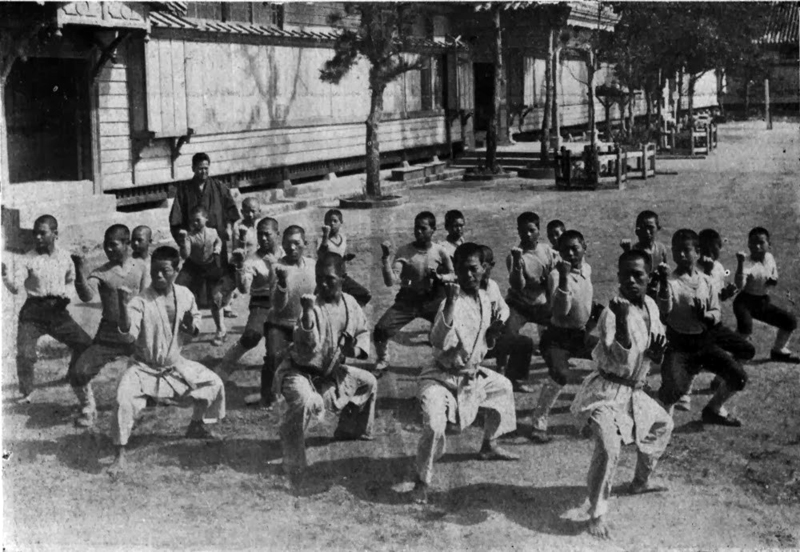 From Kihon work with a partner where the exercises is limited to individual techniques (eg: Tanren or conditioning), to Yakosuko Kumite (promised sparring), to San Dan Gi (three level sparring), to Kakie Kumite (push hands sparring) to Bunkai Kumite (application sparring) to Iri Kumi Go and Ju (Okinawan free fighting). Facilities and equipment We have some excellent facilities and equipment in our private Dojo. What we will have in our public location remains to be seen.The majority of the floor space is matted for the practice of throws and takedowns, and we have all the necessary equipment available for those who wish to pursue the full-contact Karate option.We have several hanging bags, mirrors, pads, mitts, skipping ropes, Chi Ishi, Nigiri Game, Makiwara, Tetsu Sashi and a Kongoken etc. at the private Dojo, and on special occasions we bring some of the Hojo Undo equipment from the private Dojo for members to use at seminars, or special outdoors training. 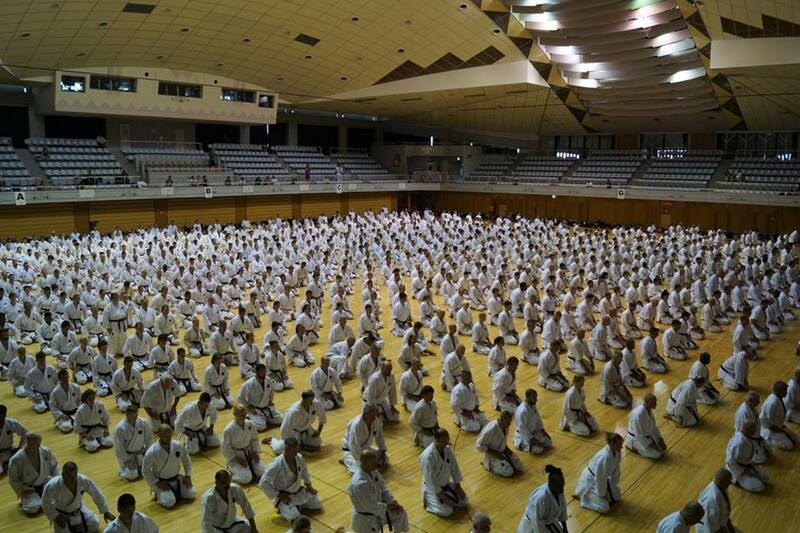 Okinawa Goju Ryu is full of partner work. Note the use of the word partner. 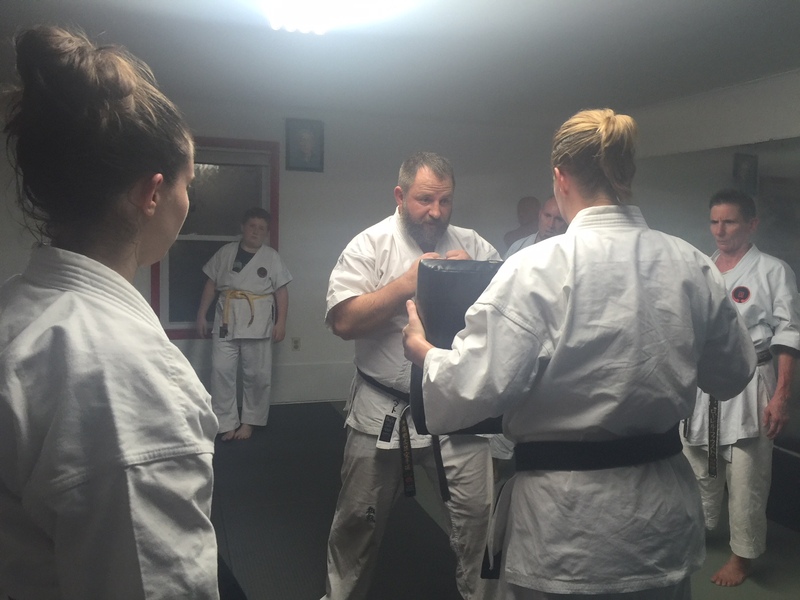 Goju Ryu is not antagonistic, and we are careful to treat each other with respect. 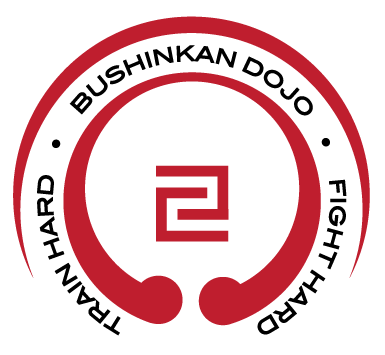 Partners are necessary for us to progress, and abusing Dojo members is not tolerated. As Higaonna Sensei says, "Challenge Yourself!"